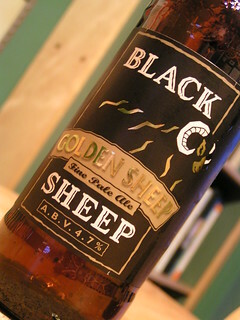 After the Theakston's Brewery was sold in the 1980's, (although is went back to the family in the 2000's) in 1992 Paul Theakston established the Black Sheep Brewery in the old Lightfoot Brewery premises. 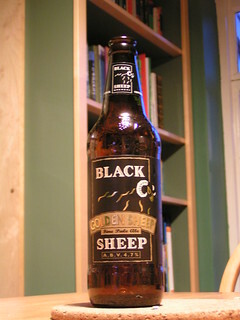 What is amazing to me is that I have never covered the Black Sheep Brewery beers properly on here before, I have done some in the past but never all together. 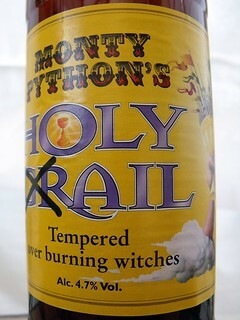 So here goes, some of the labels may have changed but these are the ones I have and it is rather a long list. 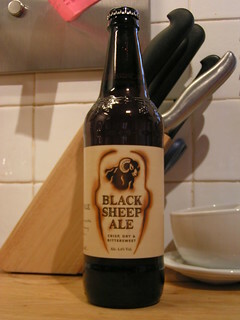 By the way I do not think that I have covered the Theakston's Brewery either, so that will have to follow. 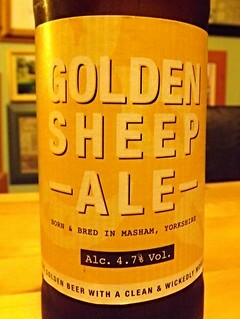 4.4%, amber colour with a thin head, slight hop aroma, fairly bitter hoppy flavour, nice. 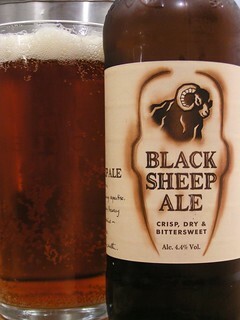 5.7% deep dark brown with a good head, strong but very nice dark Yorkshire ale. 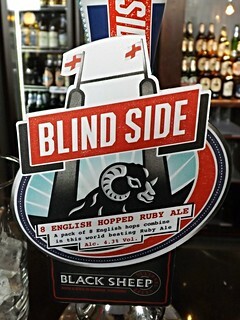 4.7%, gold colour with a thin head, sweet citrus hop aroma, slight fruit and bitter hop taste, nice beer. 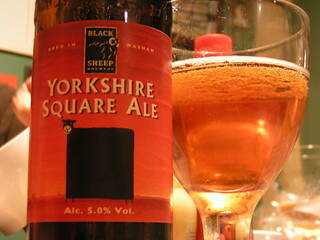 5.0% light amber with a thin head, malt aroma, dry citrus fruit and malt taste, very nice. 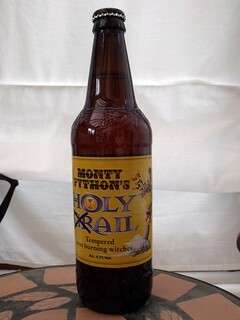 4.7% gold colour with a thin head, citrus hop aroma, bitter citrus hop taste, obviously named after the great Monty Python film. 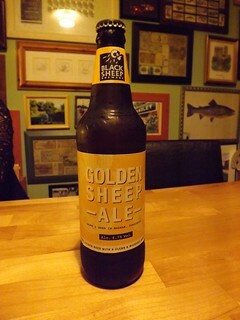 4.2% gold colour with a thin head, slight malty aroma, tastes like a cheap bitter, a gimmicky beer, for tourists. 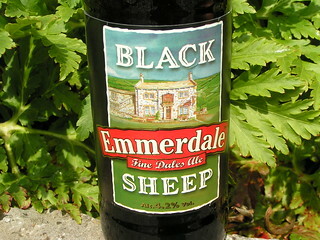 Named after the fictitious dale, the setting for the long running soap, Emmerdale (formerly Emmerdale Farm). 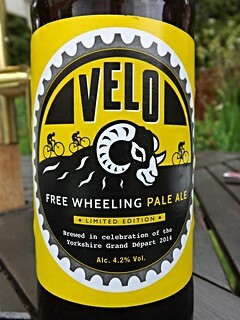 4.2% clod colour with a nice head, hoppy aroma and fruity hop taste, not the best from Sheep but ok. it was produced for the Tour de France 2014. 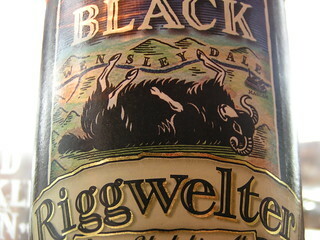 4.0% dark brown in colour with a good head, chocolate and coffee aroma, taste is similar but ever so slightly thin. 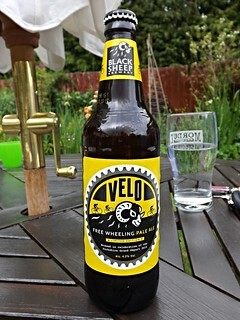 4.7%, gold colour with a thin head, sweet citrus hop aroma, slight fruit smooth bitter hop taste, nice beer. 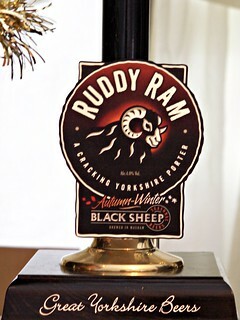 4.3% amber colour with a nice head, not much aroma but with a bitter woody taste. There are more but they will have to wait.